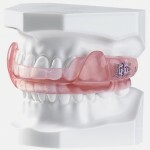 Home » Prevent Snoring » Is it Safe to Tape Your Mouth to Stop Snoring? People who are suffering from snoring or people who sleep together in the same room with a person who snores during sleep are looking for effective and noninvasive snoring solutions. As a matter of fact, there are a lot of different noninvasive snoring solutions available in the market these days. Different snoring solutions that are available for use by anyone suffering from snoring without the need for a doctor’s prescription include anti snoring pillows, anti snoring mouthpiece (mandibular advancement device), chin straps, and anti snoring tape (medical tape). In choosing the right device from all kinds of snoring solutions may need time or it may be a trial and error method. Some people find certain snoring solutions effective treatment for their snoring problems, while other people find it not effective. 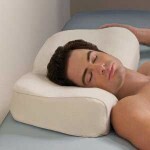 This is one of the cheapest snoring solutions available in the market today. 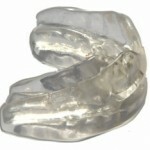 In fact, medical tape as snoring solutions is not a proper type of anti snoring device. The mechanism of action of a medical tape as anti snoring device is that it keep the mouth close during sleep, which can prevent the person or snorer from opening his mouth during sleep and force the person to breathe through his or her nose. Is it Safe to Use Medical Tape as Snoring Solutions? A lot of people are wondering if it is effective and safe to tape both upper and lower lips together to stop snoring. The tape used by people to tape lips together is called a medical tape. Taping the lips together to prevent mouth from opening during sleep can be done and is safe to some people that do not have any obstruction or problems with their nose. People who have a problem in breathing through their nose (nasal obstruction, deviated septum, nose fracture, etc), are not advised to tape their mouth shut to stop snoring while they sleep. 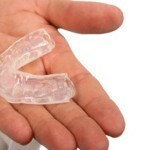 Are Medical Tape and Anti Snoring Chin Strap Similar Snoring Solutions? 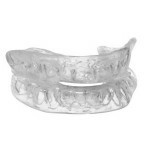 Both devices are different types of snoring solutions. 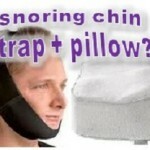 However, both snoring devices (medical tape and anti snoring chin strap) have similar mechanism of action. Anti snoring chin strap, just like a medical tape, works by keeping the mouth closed during sleep, in order to prevent snoring. What makes a snoring chin strap different from a medical tape is that a snoring chin strap is over the head to keep the jaw from opening, while medical tape is directly taped onto both lips to keep the mouth closed. Finding the right snoring solution device may take time. Just don’t be surprised or frustrated when some snoring solutions won’t be effective in treating your snoring problems.